In a world where everyone is striving for what is not worth having, no one is more determined to climb to the heights of English society than Becky Sharp. 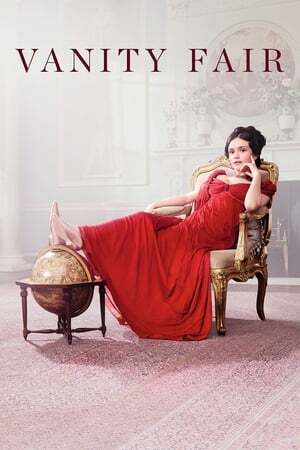 In a time where a woman’s worth is dictated by her lineage, Becky Sharp (Olivia Cooke) uses her wits and guile to lift herself up from her lowly station as we follow her adventures climbing up England’s society. This delightful show captures the true spirit of the novel showcasing each character brilliantly as we see them in different light. The acting is wonderful, the costumes are splendid with the music a bit hit or miss but as a whole works bloody well thanks to superb acting by Olivia Cooke (Becky Sharp), Claudia Jessie (Amelia Sedley) and Charlie Rowe (George Osborne) who are standouts in a top notch cast. It’s funny, it’s witty and it’s also devious as we get front row seats to the goings-on in 1780 England and how a person’s pedigree is everything. Or is it? Sit back and enjoy a fun period piece with a bit of bite.